We are back again to bring you some morning highlights of day 2 of the Casual Market here in Chicago. 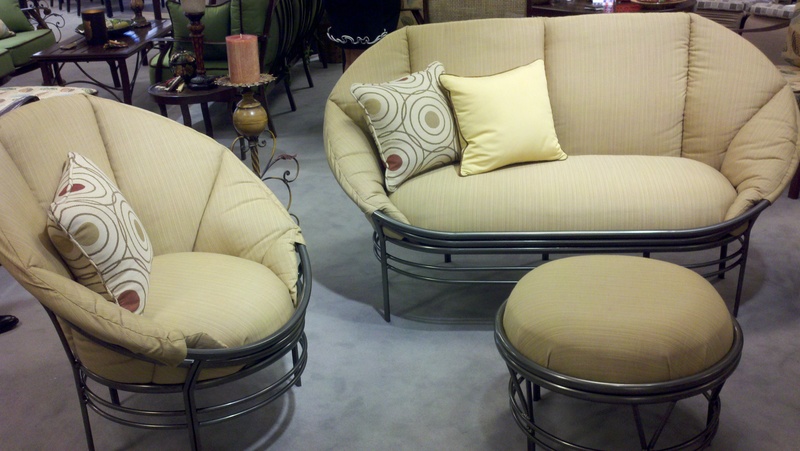 Casual Creations' Nautilus Collection - The unique tubular design of this group holds up over time and its plush deep seating brings comfort to any outdoor space. 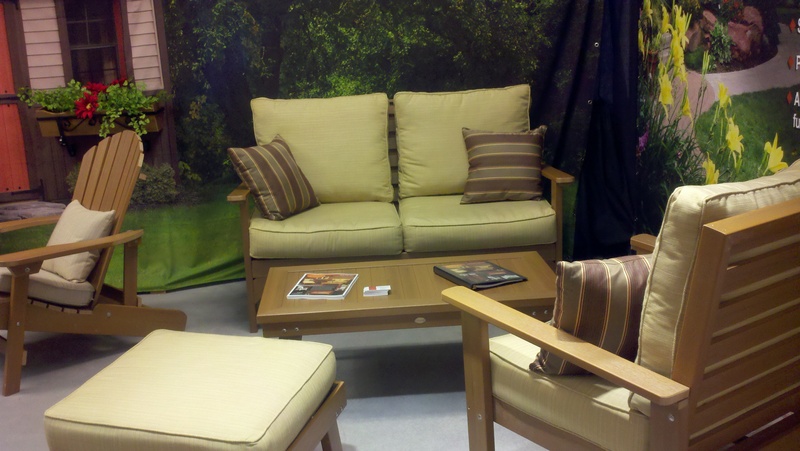 Highwood USA's Pocono Deep Seating Collection - Available in over 30 Sunbrella fabrics, this group is constructed of a unique synthetic material which is weather resistant yet comfortable. 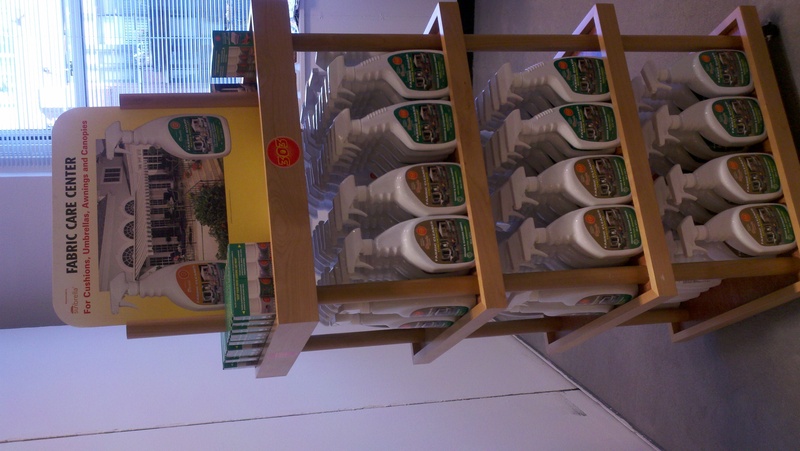 303 Products' Fabric Care Center - This hardwood display is distributed to retailers who sell 303 Products' Fabric Cleaner, High Tech Fabric Guard, Patio Furniture Cleaner and Patio Furniture Protectant. 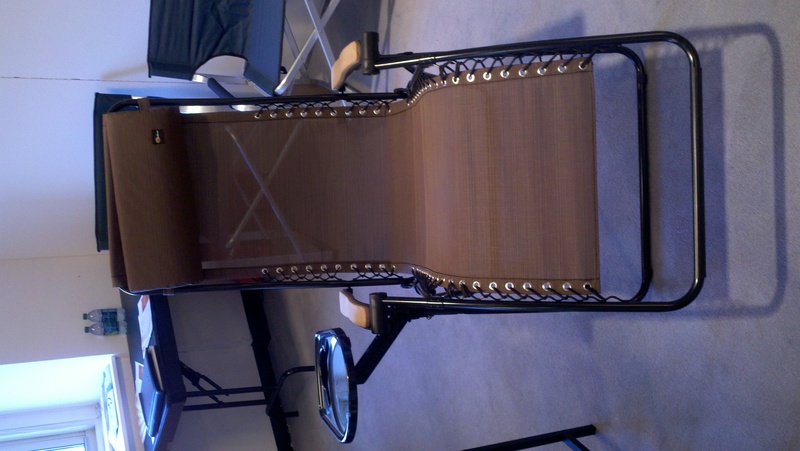 Coast Distribution/Faulkner's Sling Chair with Serving Tray - Faulkner recliners are designed with comfort and style in mind. 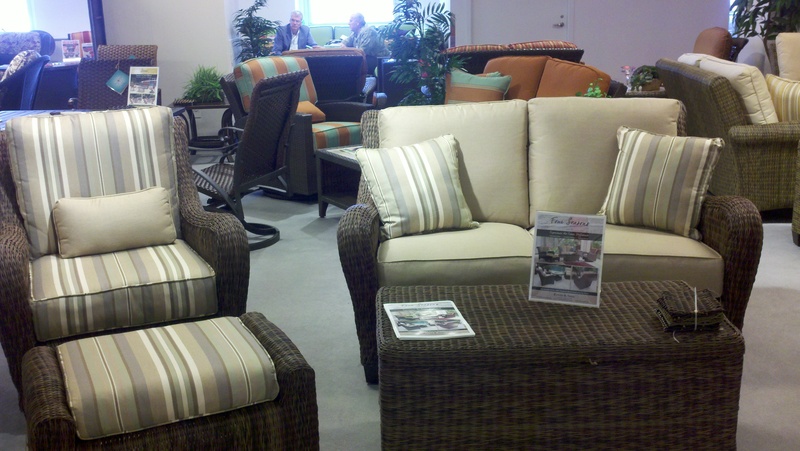 This mesh recliner features an open weave fabric that lets air circulate. 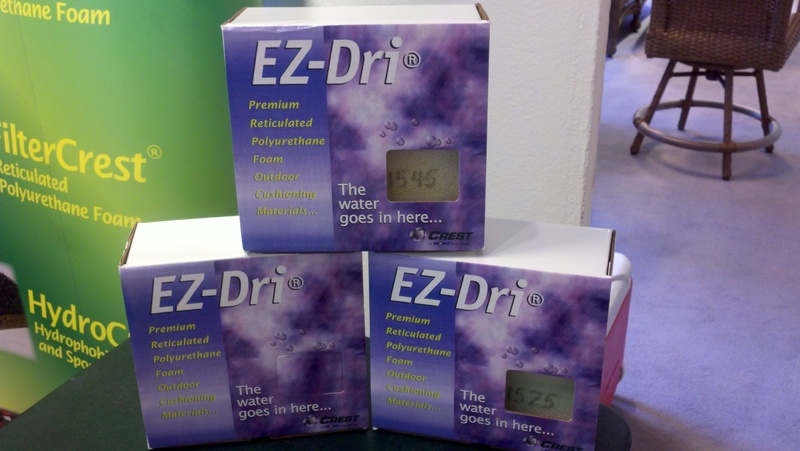 Crest Foam's EZ-Dri - The unique proprietary formulation of EZ-Dri makes furniture cushions stronger for long term exposure to inclement weather. Erwin & Sons' Four Seasons Collection - Sophisticated styling defines this group, a transitional deep seating collection feature rich, multihued braiding over an elegant, curvaceous frame. 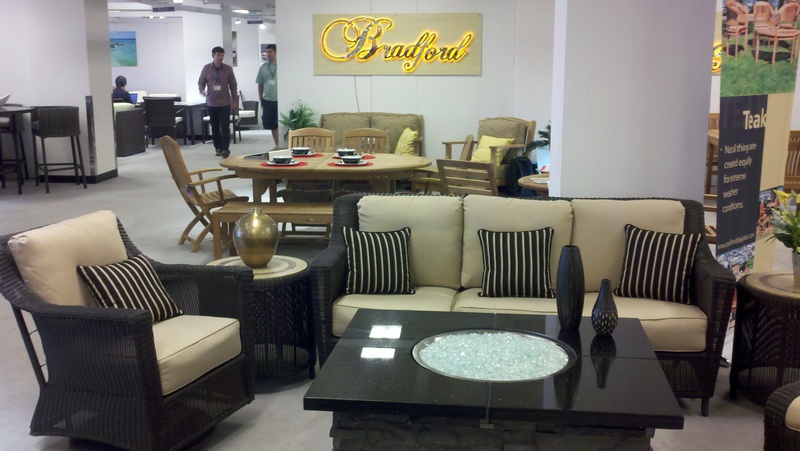 Bradford Lifestyles' Santa Fe Collection - This beautiful collection offers all the comforts of the bigger, heavier wicker looks, but with a refined delicacy. The collection also features a show-stopping firepit. 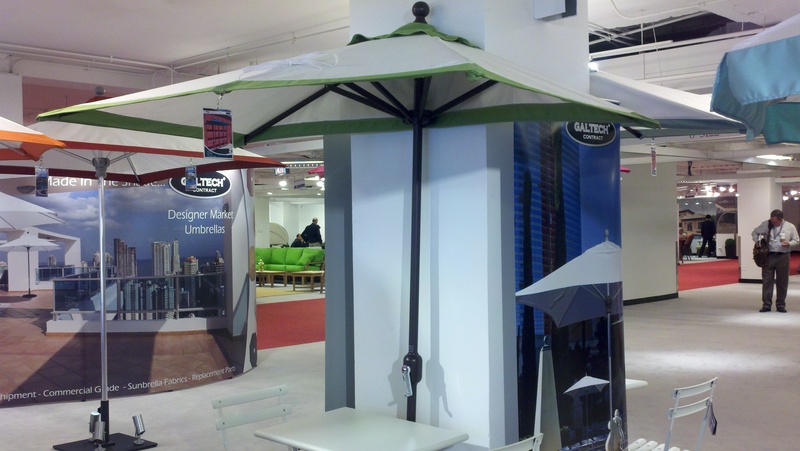 Galtech's 772 Half-wall Umbrella - The 3.5X7 ft. rectangular shade enables the umbrella to be placed directly next to a wall or window to maximize shade coverage in confined spaces.